Join us for the final event in our sportive series and test yourself on the famous Surrey hills, including Box Hill, Leith Hill, Pitch Hill and White Down. The event starts from Epsom Racecourse, a new venue for this year, and it’s an impressive way to kick-off this sell out event with stacks of parking and excellent facilities. With its varied landscape, Surrey is the ideal location to test your end-of-season fitness and the three courses available offer up something for everyone. 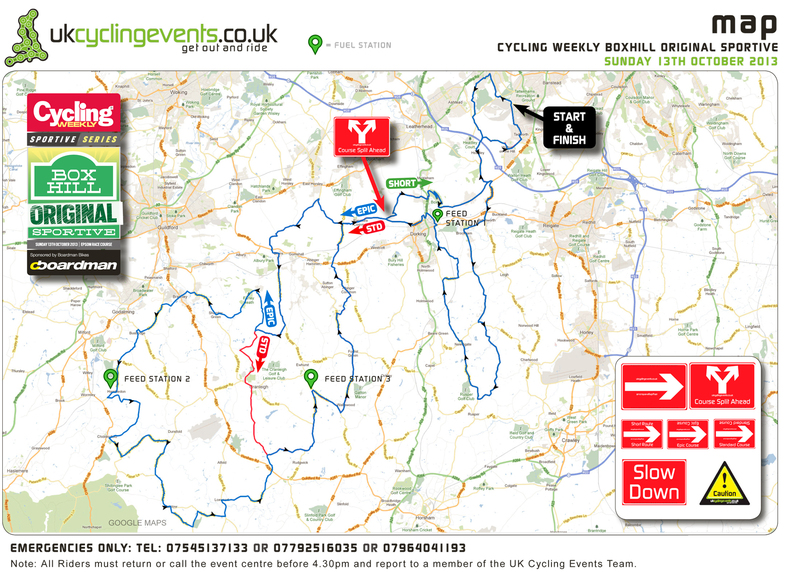 Each route begins and ends at Epsom Racecourse and while the Epic 103 mile and Standard 80 mile courses will take in each of Leith Hill, Pitch Hill and White Down, all courses will cover the famous Olympic Road Race climb, Box Hill. Whichever route you’re on, there will certainly be enough to get your heart racing. The Epic course ventures far into the depths of Surrey, while the Standard is no less challengingas they ascend some of the toughest hills in the country. The Short is ideal for those who want to compact the best bits of the region into a achievable yet inspiring course. All the courses will finish with a final drag up towards the Downs before concluding at the Racecourse. All finishing riders will recieve a goodie bag packed with quality bits and an official event medal. There will also be refreshments and massages available after the event to help you recover from what is sure to be a tough day in the saddle.